Magnificent post. I can’t believe I didn’t think of that once. I knew each individual fact but hadn’t put them all together. Looks like one more link for the “why is my cholesterol through the roof on low carb?” collection. I’m curious about your attributing this phenomenon to “low-carb Paleo.” A low-carb diet isn’t necessarily paleo. So are you implying that low-carbers who aren’t doing paleo are somehow protected from this? Thanks for the further info. The pathways are so complex I think clinicians ignore them and just want “proven” therapies. Yes … the “Paleo” part is just historical, my first post on this referred to “Low-Carb Paleo” and so I’ve continued that … you’re right, it’s the low-carb only that matters, and any very low-carb diet could be problematic. Good question Mike. I would exclude fiber, as Atkins did. We actually exclude most vegetable carbs too, as some glucose is lost in digestion. What if the lowering of T3 is an adaptation and in part responsible for the longevity effect postulated for low carb diets? It is an adaptation, and yes lower T3 is associated with greater longevity. Mario made that point: http://perfecthealthdiet.com/?p=4383#comment-28288. But if you look at the 3 studies Mario cited, the difference in T3 levels is tiny. Centenarians have a statistically significant, but very slight, decrease in T3. I think a similar pattern will hold with carbs. If you just make the body a little low in glucose, so it has to conserve resources, lifespan will be extended. If you create a major glucose deficiency, with big alterations in T3 and rT3, lifespan will be shortened. Thanks, Paul. Since I am hypothyroid, a lot of your recent posts have been very germane to me. I get migraines and find that eating low carb (50-100g usually)helps. I am going to see if I can bump it up a little (say, up to at least 100g), and see if I remain migraine free. What I have found is that since starting a paleo diet 6 months ago, my medication (T3 supplementation) has decreased from 50 mcg per day to 36.25 mcg per day. I go for another test soon, so I may need to be adjusted again, but this level feels right, for now. I credit it to the reduction in inflammation and being much better nourished. As well, my IBS symptoms have decreased since I discovered and eliminated FODMAPs foods. Hopefully this will heal up my gut and the thyroid production associated with it. Any suggestions for avoiding migraines when upping carbs? Some of the research I found suggested it was the glucose spike of high GI foods that caused the migraine. Might it make sense to eat lower GI carbs or only high GI ones with lots of protein and fat? I think it’s the presence of ketones that helps most with migraines. So what I would do is intermittent fasting: 16 hours a day with no food except MCT oil, then all your eating in an 8 hour window with 100 g carb. Having some hours of ketosis each day should reduce glutamate levels in the brain and enable mitochondrial repair and neuronal healing … then the carbs will prevent the glucose deficiency issues. I do intermittent fasting anyways, except I have tea with cream instead of coconut oil. I don’t think there is much in the cream other than fat, and from what I have heard, it doesn’t “kick you out” of the fast. Would you concur? Carbs today were 120g, and no migraine yet, so that is a good indication! My migraines seemed to be tied with my cycle. Or when its cycle time I tend to crave certain foods which I eat and they cause the migraines. Or I can be strict for months on end with no sign of migraine but when I slack off migraines return. Paul, this was a great post. I always appreciate your posts, Paul. I was glad to see that there is more of a distinction between VLC and LC, terms that seem to be interchangable in the blogosphere. For most people who aren’t thinking paleo, even 125 gms of carbs is VLC, so it seems like a good practive to define ranges rather than use acronyms. In any event, the amount of carbs suggested in the post for purposes of maintaining optimal health reminded me of Lutz’s recommendation to target 75gms of carbs per day, in his excellent book, ‘Life without Bread’. Peter at Hyperlipid has also suggested that a minimum of 75gms of carbs is a good target. What about the use of tocotrienols to lower cholesterol? There have been studies that show it works. Perhaps Ray Peat has been correct all along. On philosophical grounds I have been shunning lab tests, as much of the current “conventional” theories of chronic disease seemed bunk to me. That being said, what sort of physical signs/symptoms would be present to even prompt lab testing? Also, my next request would be a synopsis about possible infections as “conventional” medicine often discounts infectious causes. Lastly, C. Masterjohn mentions both thyroid and cholesterol receptivity on LDL receptors. Would not increased dietary cholesterol upregulate LDL receptor activity? There are many foods that are rich in cholesterol and fat as opposed to little cholesterol and fat. This was a great post, keep up the good work. I think the possibility of diet triggering hibernation in humans is a fascinating topic. I always felt this was a possibility – something our bodies could be hardwired to do – and always felt it was triggered by either very low carb, high protein and/or fat. On occasion, I suspected I experienced this phenomenon but thought it might be too far fetched. After reading this post, I would love to know more. I really enjoyed this post, Paul. Some of the cholesterol info can get pretty dense and I appreciate your ability to describe it so it’s more enjoyable and easier to understand. Thanks for sharing your perspective and personal experience – well done! Love the chart tracking your history with the dramatic changes in such a short amount of time. I’m interested to hear your continued experience after you’ve removed the T3 supplement. Emily when some one has a lower T3 for adaptation they wont have any of the signs of co morbid LR. I have seen tons of VLC with low T3 and when you look at their Reverse T3 and cortisols they are thru the roof. That means the thyroid is shut off by the hypothalamus and no amount of T3 or T4 will fix it. You fix the LR problem and the Thyroid improves. So many have plateaus because of this its not funny. It frustrates me that endocrinologists tell PCPs all the time you just need to look at the TSH and T3 and T4. If CRH or Rev T 3 is up your thyroid panel is worthless because the brain turned it all off. Cream won’t end the fast, but you might find MCTs/coconut oil more helpful for the migraine, as they are more ketogenic. Unfortunately, medicine has been working on a model of acute disease, and they only know how to discover infections and chronic disease when they become extremely severe. The research model has to change to develop better tests that catch problems, especially infections, earlier. Until then, we have to read tea leaves a lot. Thanks, it is interesting, and a bit puzzling. Perhaps there is a mechanism via calorie restriction? Interesting data point. That’s what I thought too, although I haven’t checked those boards. Not enough gycoproteins led to reverse T3 and then LDL going up, the latter from 6.5 to 13.7. Still have to get some tests done to see if in my case there is a change. I know, I’m threatening that I do them for a while. Interesting about reducing your synthetic T3. I’ll keep that in mind. About Scott’s article, yes, puzzling to say the least. 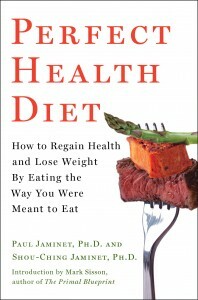 I don’t see any clear reference to calorie restriction in the summary. Oh, I forgot, the idea of ‘stuck in high reverse T3’ mode might mean that some people, because of high cortisol or adrenalin due to stress or other causes don’t revert to normal immediately even if conditions have improved – more calories, more carbs. I’m thinking also of an exaggerated response to losing fat as in lowered leptin as a way to defend the fat mass. Some people’s leptin goes lower than others, is highly variable, for the same amount of fat loss. That would influence thyroid hormone too. Concerning alchohol and Diflucan… did or do you consume perhaps a small glass of wine every now and then while taking it? I have been instructed to avoid it at all costs but I was wondering if a 1-2 glasses of wine perhaps every other week or so would hurt. I am not a heavy drinker by any means… beacause I am so weary of it’s health effects I only ever do it if I am very pressured into it. But I do enjoy the flavor of a glass of the red stuff occassionally.. and the social aspect. I take a regular NAC and limit PUFAS and fructose, so in general I’m pretty good to my liver and enzymes test well. Also, I was wondering if you could tell me more about the Chinease medicine… I am very interested and would love to know more about it so I may find a practitioner in my area to combine with my daily dosage of Diflucan over the next 3 months (got prescribed it for 1 month but get more every 4 weeks after liver enzymes are tested). I apologize for the multitude of spelling errors in my comments by the way! I continued to have a glass of wine occasionally, but maybe I shouldn’t have. I have stopped the fluconazole. I think the Chinese medicine worked well, not great but well. It seemed to be less toxic than fluconazole and similarly effective. However, it’s more expensive and labor intensive, and doesn’t taste good. The key thing is to have a trustworthy Chinese pharmacy that you can get the medicines from. We have one in Boston’s Chinatown, but not sure what others would do. 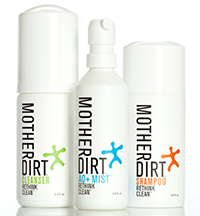 Do you consider you fungal infection gone, or still more to go? A very interesting account. Thanks Paul and Gregory. As for adjusting T3 level in days, here is a study that lends support to that http://www.ncbi.nlm.nih.gov/pubmed/812882 (Which I found here http://tiredthyroid.com/rt3.html). Malnourished men in Calcutta halved their rT3 in days following feeding treatment. in your conclusion, you’re saying that adding carbs would make the body adjust rapidly, you don’t think T3 supplementation is a good idea. Maybe not. In my case, 3 months of extra carbs didn’t seem to work, I just put weight on and my hormonal problems that I considered as consequences of low thyroid hormone (luteal phase defect) didn’t get better. That’s why I asked for T3 supplementation. Maybe I should have waited more, but I was convinced it would make a difference with the LDL and at the time I didn’t know that it was a sign of glucose deficiency, I thought either conversion problem or from weight loss. Still more to go, I’d say I’m 80% there, but I’m taking a break from medicines for a bit. Very nice paper, thanks for the link! Yes, I don’t want to discourage thyroid hormone supplementation in hypothyroidism … just in glucose deficiency (or protein deficiency), when it would defeat the adaptive response to the deficiency. Thanks Paul! Hoping to finally beat this infection for good by the time I graduate in the Spring of 2012. It would be nice to not have to deal with seb derm anymore! I always said I wanted to have “perfect health” by the time I graduated… meaning no skin issues, no sleep issuses and no digestive issues! I am not sure how bad my infection is… but I imagine I have had it for at least 2-3 years. Hopefully 8 months will be enough! What should the conversion of T4 to T3 be: is it 1 to 1? My Free T4 is 1.24( range.89- 1.76) and Free T3 is 2.6( range 2.3 to 4.2). Doc thinks all is ok with this and TSH of 1.7. I am trying to understand if the Free T3 is where it should be, or a little low in relation to the T4. Also, cannot genetics and toxic metals inhibit the conversion process? We can’t infer anything wrong from numbers in the normal range, unless you have symptoms of problems. There’s no specific ratio between T4 and T3 that is optimal; it depends on circumstances and diet. If you lack hypothyroid symptoms or low metabolism, then I would just try to optimize diet and health on general principles and let the thyroid hormones go where they want. Thanks for the info about protein/carb consumption. The difference between intracellular T3/T4 and extracellular is also interesting, I will keep that in mind when thinking about those diseases. By all means, send us updates on your progress! A lot of people are interested. Pascal, thanks. I mentioned your comment in the Saturday post to give it more visibility. Tom, for “increased carbs” check out the Excel figure. It shows when he increased carbs and to what amount. Paul is correct in assuming that I didn’t consume 150g protein/carb. I would readily confess to being impetuous in my decision to experiment with Cynomel. Ideally, as a good scientist, I would have waited six months from the time of starting very low carb. I regret not experimenting further with carb increases. In my defense I would mention that, rational or irrational, I was in the grip of lipid anxiety. The unrelenting surge in lipids from week to week was highly unnerving. Although I believe that the danger of cholesterol is overrated, I don’t think one can dismiss LDL levels entirely. (Why should every other blood component have an optimal range but not LDL, as the sceptics claim? )And if very high LDL is dangerous, or, if not dangerous in itself, indicative of a dangerous imbalance, how long does it take for one’s health to suffer? How long could I have safely waited: one month, six months, a year? I don’t think there is an answer to this question. I was therefore reluctant to wait another three months before starting T3. 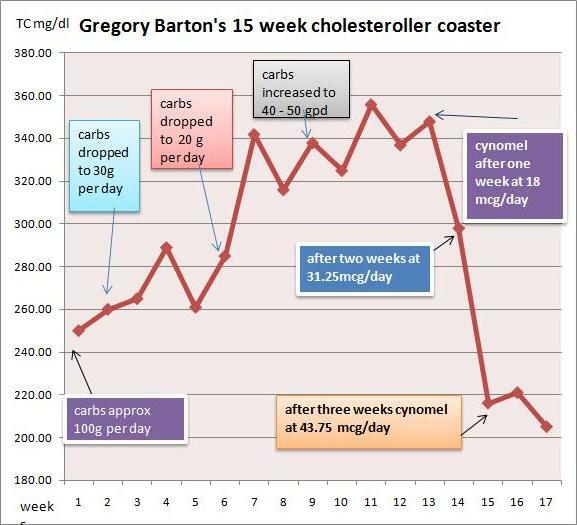 This “vicious cycle” might account for some people ‘getting stuck’ in rT3 mode, especially if they suffered from more than one factors mentioned above, such as insulin resistance and hyperlipidemia.. On the other hand, Paul’s claim that my carbs were still too low in the month during which I raised carbs might be correct. In the absence of tests we can but speculate. Steve, take a look at the article that I cited above. It claims that blood levels of T3 and T4 are not a reliable indicator of levels in the cell. MarkES, in a few months, after, finishing the T3 course and weaning off, I’ll post a postscript. Wish me luck. You might want to mention that high cortisol levels can be normalized by the intake of high doses of Vitamin C. Therefore in addition to increasing carb intake, supplementation with higher doses of Vitamin C may also help. A wonderful article. I may have missed it but could you please expand on “increased carbs”. What were they specifically? what you recommend for recovering from hypothalamic amenorrhea? what dietar wise do i need to focus on? anything supplement wise i should be more adament about? i have seen fish oil causes period to stop in some women too, any thoughts? if PUFA efa/dha are the only required fats EFAs i dont get how PUFAs are shunned? can you explain? I would recommend our general diet. They key I think is avoiding PUFA and fructose. Not sure I understand the question about EPA/DHA/PUFA. You want a low level of PUFA in your body, but a balance between subtypes. Most people are way too high in omega-6 and low in omega-3. So the best strategy is to minimize omega-6, and get some dietary omega-3, but food amounts, not supplement amounts. Thank you for sharing! I’m intrigued that you find rT3:T3 valuable in all patients. It’s great to hear clinical experience. And of course I’m very happy your hypothyroidism is improving. In many cases it may be easier to work the cure than to figure out the cause! After I increased safe carbs significantly, cholesterol gradually decreased. I seem to have got back so far in a few months to around 300. But with my low protein diet and moderately active lifestyle 600 carb calories does not do it for me. I seem to need approx double that, which seems to leave only around 30-35% of calories as fat. Do I have Kitavan ancestors? Interesting. A few other people, including Danny Roddy, have reported needing significantly higher carbs than is usual. I don’t know why. Athletic activity would be one reason. Can you describe your “moderately active lifestyle” for me? And how “low protein” are you? It would be interesting to see your T3/rT3 numbers if you get those tested. 55 gram protein/day. Hara hachi bu. (My Okinawan ancestry this time.) 1 Sisson style lift heavy things and 1 tabata sesson and about 20km barefoot slow-speed run per week. I tend to try to avoid sitting during the day. Stand-squat-kneel-sit routine at the keyboard. I will get a free T3 soon, sadly nobody can do rT3 in this corner of the world. donat’s experience is interesting … curious if cholesterol reduction is more related to either increase in carbs, or decrease in saturated fat; or perhaps a combination of both. MarkES: difficult to know with any certainty, but my impression was that reducing saturated fats was relevant but not enough here. Given your low protein intake an otherwise moderate glucose shortfall might have a significant impact on thyroid hormone and LDL. Paul, many thanks very helpful as always. Your last sentence must be the key: consistently low protein will presumably enhance the effect of even a mild glucose shortfall. But could a deficiency forcing me to double my carbs really come from squatting-standing? My understanding was that low intensity activity uses minimal carbs, so even if I’m on my feet 6-8 hours shouldn’t most of the energy come from fats? My high intensity exercise cannot be much more than 30-45 mins/week. Also on high 70-80% fat I was doing roughly the same without any apparent problems, without even a single episode of hitting the wall in running etc. So assuming I create a small deficiency with a big effect like you say, –why do I need to apparently double rather than just slightly increase my carbs? Could the following make any sense at all? I have various health issues but digestion is not one of them. Cron-o-meter tells me roughly 350 carbs and 50 fiber for the recent cholesterol-lowering period. However if I add straight starches like potato and rice and sugar from fruit and veg that’s more like 200gr or maybe a little more but not too much more. Could it be that for me, and perhaps more generally for people with an appropriate gut flora, your assumption about leafy vegetable carbs being turned to fat could be generalized to the non-sugar part of root veg and even fruit? If tenable, this would mean that as you say I was only mildly glucose deficient and I am now actually not absorbing more carbs than necessary for sorting that. Glucose utilization during activity varies significantly among people. Obese people tend to be obligate glucose utilizers even on mild activity; healthy, athletically trained people tend to utilize nearly all fat. Glucose utilization standing or squatting could vary anywhere from 0% to 50%, but most likely would be 10-20%. I think you need to experiment to find what works for you. I don’t think it’s unreasonable to expect to need 1,000 carb+protein calories per day with your activity levels.